1990’s Brit Pop Superband PULP played their first full live show of 2012 at London’s Royal Albert Hall on Saturday night (March 31). As part of the Teenage Cancer Trust gigs, throughout 2012. The show opened with a number of questions being projected onto a large screen above the stage. The final one asked the crowd ‘Do You Remember The First Time?’ before Pulp appeared on stage to kick off with the 1994 hit. 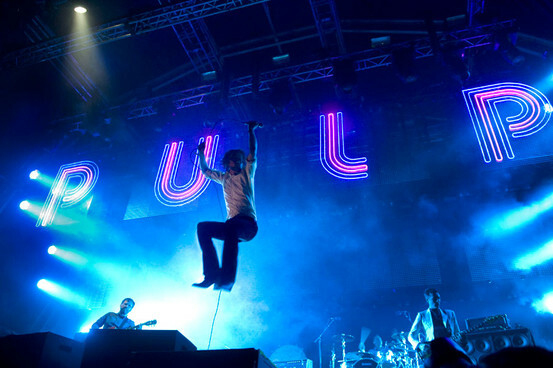 The set spanned Pulp’s vast career, including the inclusion of ‘My Lighthouse’ during the encore. 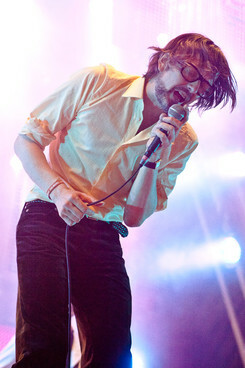 Lead singer and writer of most of the Pulp cataloague of tracks, Jarvis Cocker spoke about how the song, , featured his sister Saskia and her school friend Jill Talbot on backing vocals. The pair joined Jarvis and co onstage to contribute once again, nearly 30 years later, at which point the crowd went insane with cheering. Jarvis admitted the fact the band hadn’t played live in six months, aside from performing two songs at the NME Awards in February, when they also picked up this year’s Teenage Cancer Trust Outstanding Contribution To Music award. The show was a massive hit and the overexcited croed sung along to every track they played. It was definately a night for remiscing, and celebrating pure music Talent, that we must never forget.